At the Law Office of Arthur Schneider, our firm represents people who are in need of assistance navigating the complex issues they face from a personal injury. 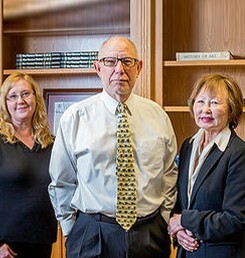 Whether you are suffering from a personal injury, medical malpractice, or need help settling a civil or family dispute, we are here to help. Our clients benefit from Arthur Schneider's compassion, extensive experience, and knowledge of the workers' comp. system. Our experienced team have proven to be our clients' best advocates — whether you need family or civil litigation, or someone to guide you through the details of the complex legal and medical process that results after an injury. Our goal is always to get the best results for YOU — to help restore your sense of well-being and gain fair compensation after an accident. Law Office of Arthur Schneider P.C.